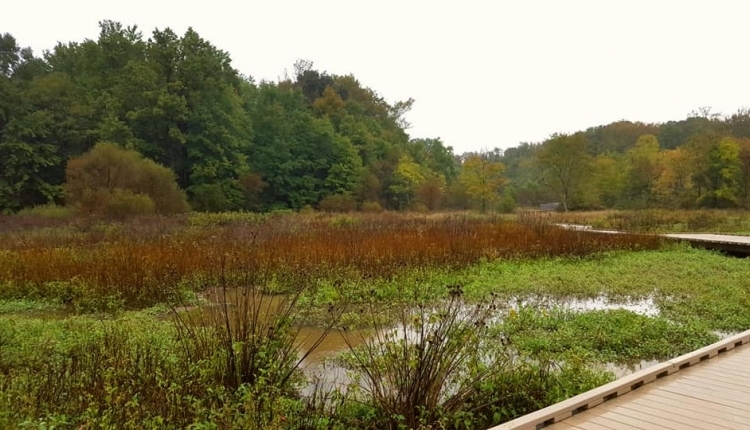 Friends of Huntley Meadows Park (FOHMP) continues to work hard to protect the rarest habitats, plants, wildlife, and historic resources of national and global significance here in Fairfax County. This includes working to support the recommendations of Supervisor Jeff McKay to remove two conceptual paved bicycle trails (not yet constructed nor funded) that would cut through Huntley Meadows Park in both the northern and southern sectors. (See the Comprehensive Plan Amendments on the County Web site labeled PA #2018-IV-BK1 https://www.fairfaxcounty.gov/planning-zoning/plan-amendments/huntley-meadows-park-bk1 and PA # 2018-IV-TR1 https://www.fairfaxcounty.gov/planning-zoning/plan-amendments/huntley-meadows-park-tr1 for details). FOHMP supports the recommendations to remove these paved trails from the Comprehensive Plan and from the Bicycle Master Plan due to their expected adverse impacts on sensitive natural and historic resources. Please see the 2018 Summer and 2018 Fall newsletters on our website for further details about our position http://friendsofhuntleymeadows.org/newsletter.html. Please contact Friends of Huntley Meadows Park at friendsofhmp@gmail.com with any questions, comments, or concerns. We, the undersigned request that Fairfax County Planning Commission and Fairfax County Board of Supervisors approve the recommendations of Supervisor Jeff McKay to remove two conceptual paved bicycle trails as described in Comprehensive Plan Amendment PA #2018-IV-BK1 and PA # 2018-IV-TR1. The Say No to Transportation Corridor in Huntley Meadows Park petition to Friends of Huntley Meadows Park was written by Huntley Meadows and is in the category Environment at GoPetition.